Last year I had the opportunity to contribute an article to a publication, “Getting Ready for Work: Education Systems and Future Workforce,” produced by The Oklahoma Academy, a venerable think tank founded in 1967. Also included in the publication was an important article on literacy written by Martha Gregory, a researcher for the Tulsa City-County Library System. Twelve percent of Oklahoma’s adult population is “below basic” in prose literacy. Ms. Gregory equates this to a reading level of third grade and below. Another 31 percent of the population reads at the “basic” level. This is between the fourth grade and seventh grade reading levels. In other words, she says, 43 percent of Oklahoma’s adult population reads at a seventh grade level or lower. I urge you to take a look for yourself at the literacy report cited by Ms. Gregory. Entitled “Highlights from the 2003 Oklahoma State Assessment of Adult Literacy,” it was prepared with funding from Oklahoma taxpayers and is available on the website of the state Department of Education. Among other things, the report looks at literacy in Oklahoma by levels of educational attainment. For example, more than half of Oklahoma’s high-school graduates read at the basic level or below, i.e., at a seventh grade level or lower. Arguably even more appalling is the revelation that 13 percent of Oklahoma’s college graduates read at that seventh grade level or lower. Regrettably, things are not getting better in Oklahoma, according to a new study published by The Foundation for Educational Choice, OCPA, and the Oklahoma Business & Education Coalition. Yes it does. Preferably changes which will ensure that if we give the schools 13 years and a hundred grand, they will at least teach Johnny to read. When's the last time you heard someone say they're moving into the Oklahoma City school district so they can send their children to the Oklahoma City Public Schools? In any case, this came to mind today when I read a blog post by Gary Wolfram, an economist at Hillsdale College in Michigan. Dr. Wolfram, who has written for OCPA before, asks an even more outlandish question: "When was the last time you heard someone say that they wished they could move to Detroit in order to enroll their child in Detroit Public Schools?" If we want to improve public education -- in Michigan, in Oklahoma, or anywhere else -- we're going to have to change the incentives. "Oklahoma students who began an anti-bullying campaign, 'Stand for the Silent,' have organized a rally at the state Capitol next month," The Oklahoman reports today. "The students organized after hearing the story of 11-year-old Ty Field, who committed suicide after reportedly being bullied." Bullying is a real problem in Oklahoma schools. According to a new report [PDF here] from the Centers for Disease Control and Prevention (CDC), 17.5 percent of Oklahoma's high-school students were bullied on school property during the past year. That's more than 25,000 kids -- and that's just in high school. In addition, 5.8 percent of Oklahoma's high-school students -- that's more than 8,500 kids -- were threatened or injured with a weapon (such as a gun, knife, or club) on school property one or more times during the past year. I received an e-mail yesterday from Dr. Brian D. Ray, president of the National Home Education Research Institute. "New research on college students who were home educated shows they are doing very well," he writes. Dr. Michael Cogan, director of the Office of Institutional Research and Analysis at the University of St. Thomas in Minnesota, compared home-educated students to those from conventional-school backgrounds at one Midwestern university. Controlling for various background demographic, pre-college, and other factors, multiple regression analyses revealed that the home educated earned higher first year and fourth year GPAs. Bivariate analyses showed the homeschooled students (26.5) reported a significantly higher ACT-Composite score when compared to the overall cohort (25.0), and the home educated (14.7) earned more college credit prior to their freshman year when compared to the overall population (6.0). Home-educated students (3.37) earned a significantly higher fall semester GPA when compared to the overall cohort (3.08). Further, homeschooled students (3.41) earned a higher first-year GPA compared to the overall group (3.12). Finally, the home educated (3.46) earned a significantly higher fourth-year GPA when compared to the freshman cohort (3.16). Pat McGuigan has the story here. The educational landscape is changing, and not only in places like Milwaukee (where an astonishing three out of four students are educated someplace other than their traditional, geographically assigned public school). Right here in Oklahoma, as blogger Wesley Fryer points out, online learning is starting to take off. I wonder what the OEA thinks about all this. 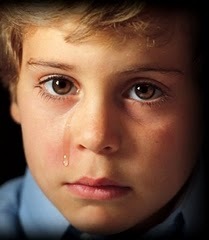 The 2009 Oklahoma Youth Risk Behavior Survey, which "provides data representative of students in grades 9-12 in Oklahoma public schools," informs us that "5.6 percent of students had carried a weapon (e.g., a gun, knife, or club) on school property on one or more days during the 30 days before the survey." Ben Boychuk has an excellent article here (followed by a profound comment I left at the bottom of the page). 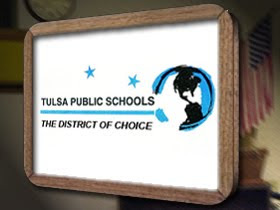 "Most parents don't have a path through the [Oklahoma City Public Schools] system like they'd like to see for their children,” urban developer Kirk Humphreys said yesterday in The Oklahoman. "Parents say they are happy with the elementary school experience for their children, but if they live in Oklahoma City after fifth grade ... they send their children to private school or homeschool." Tax-financed scholarships for students with disabilities gained legislative approval this year. Scholarships for “special needs” children passed after fierce debate in the Legislature. In a long news report this week on the CapitolBeatOK website, Patrick B. McGuigan (also senior editor for The City Sentinel) reported on this summer’s Youth Leadership Forum, hosted by the state Developmental Disabilities Council. The young “legislators” passed the bill, 14-10. In the Legislature itself, the measure cleared the House 54-46, and 25-22 in the Senate. Not so different. Ann Trudgeon, who runs the Council, assured the worried boy we all make mistakes, try to learn from them and move on. Soon after, he heard the same thing from Lt. Gov. Jari Askins, and then from state Rep. Jason Nelson, sponsor of the “real” bill. The boy did fine, and the bill passed. Despite the name of the program she runs, Trudgeon told CapitolBeatOK, “It’s not about disability – it’s about being who you are and making yourself and your life the best you can.” Amen to that. An Oklahoma public school district paid $150,000 to a private company to educate some students, and guess what happened? The earth continued to rotate around its axis. Ho hum. Public dollars flow to private educational institutions all the time. Some Edmond parents are claiming their special-needs student was mistreated in two Edmond public schools. If only the parents had some other options, like choosing a private school, for example. Oh, wait a minute, they do.